In addition to the amaryllis and paperwhites I also have this stunning white hydrangea, a New Year’s gift from the fabulous Doreen. She tells me I can plant it outside once the warm weather arrives and I’m just hoping I can keep it alive until then. In the meantime, I’m enjoying the gorgeous white flowers that remind me of giant snowballs. I hope you find something gorgeous to enjoy this weekend. It could actually be snowballs around here from the looks of the weather forecast. Thanks for the beautiful pictures of flowers yesterday and today. Just what I needed as we are having gray days in Texas this week .. and this morning it is 27 (27?!) which is NOT what I signed up for when I moved from California to Texas. So it’s nice to have some beautiful flowers to look at and dream of spring. And thanks to you (while I’m at it) for your blog; I miss it when you are gone. Your pictures and your words are great. It’s lovely. Our most recent storm had plenty of snow, but it was too fluffy for a good snowball. It was too cold to hang out long enough for a fight anyway. You may need to follow Mason’s lead and stick near that stove! It’s kind of pretty out there this morning! Enjoy the weekend Carole! We got 3-4″ of snow overnight, just enough to make things look lovely, but not enough to make things treacherous. I do like your snowball hydrangea better than the cold, wet kind! Happy weekend Carole! We did get around 2-3″ overnight, but easy to clean off cars and the roads were all clear. The trees looked beautiful with branches draped with snow (but, alas, 3″ isn’t nearly enough for a snow day!!). Having flowers in the house when the temps are ridiculous and the snow is on the ground keeps hope alive! Spring will come…eventually! Have a lovely weekend! Thanks for the brightness of flowers–and have a bright weekend! 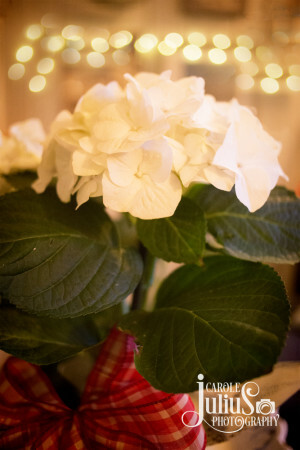 I don’t know if I’ve ever seen an indoor hydrangea–it is beautiful! Have a good cozy weeknd if it snows! (or even if it doesn’t). Oh Carole, your photo looks magical! I love hydrangeas, the pale blue variety. Enjoy yours! Those are one of my absolute favorite shrubs. They grow great here in the shade, my great grandmother had quite the green thumb and her house had HUGE flowers every year. Someone else owns the property now, I’m real tempted to stop by to see if they’ll let me see the house renovations and the back yard. oh Carole – that’s stunning! our “snow” turned out to be mostly ice… which provided a welcome excuse to stay home yesterday. Hope you’re enjoying a warm weekend, too!